Irena Sendler, whose bravery and sacrifice saved 2,500 Jewish children from the gas chambers, died on Monday in her Warsaw apartment. After 98 years of hard work, her heart, said the doctors, had finally rested. Her great heart, which made her one of the few heroes the twentieth century produced, was concealed in the small, fragile body of an ever-smiling person. 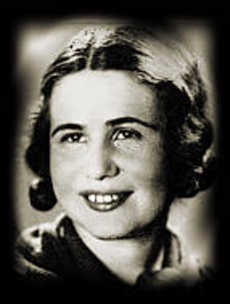 Her latest picture taken several weeks ago shows a heavily wrinkled but girl-like face with sparkling, dark eyes that scarcely reveal a beautiful yet tragic history, which began in 1939 in occupied Poland and continued until yesterday when Ms. Sendler began her last and most important journey. Irena Sendler was born in 1910 in Warsaw in what was then part of the powerful Russian empire. When her native Poland won back independence she was only eight years old but the sight of red and white flags waving on the streets deeply moved her. After finishing at a prestigious high school, Ms. Sendler began studying the Polish language at Warsaw University, the largest academic center in the country. She also worked actively as a member of the Polish Socialist Party, teaching poor children and finding occupation for their parents. The real test of her character came much later. On September 1, 1939, the Nazis invaded Poland and one month later partitioned the country between themselves and the Soviets. Many young people fled to France and Great Britain where they hoped they could form national forces and , together with the Allies, come back to rescue their homeland. Ms. Sendler, however, stayed in Warsaw to help other denizens of the conquered capital. She continued her work as a teacher and social worker, witnessing how her Jewish friends were being herded into a ghetto. The Warsaw Ghetto was erected in October 1940 and soon became a permanent home for almost half a million Jews from all over Poland. The conditions behind the walls were deplorable; hundreds of people died every month due to malnutrition and various diseases. In spring 1941, the Germans began massive transports to what the Jews believed were working camps but in fact turned out to be gas chambers of the Auschwitz concentration camp. People from the outside were hardly ever let into the ghetto. One of the few exceptions was Ms. Sendler who, as a nurse, obtained permission to tend to sick Jews and take corpses to a cemetery. In 1942, Ms. Sendler joined a Polish-Jewish group that was organizing escapes from the ghetto. Although the Germans declared that anyone who helped or housed a Jew would be killed at once, the little nurse never had any doubts as to her involvement. She began smuggling Jewish kids out of the ghetto by making them pretend to be dead and locking them in coffins. To avoid controls, she told the guards that the cause of death was typhus, a disease that decimated the ghetto population. She saved over 2,500 children and adults from gas chambers, hiding them among Polish families and Catholic monasteries. One of her neighbors or friends must have betrayed her, though, and the Gestapo arrested her in 1943. Tortured on a daily basis, Ms. Sendler never betrayed other members of her organization, something that even professional military men often failed to achieve. She avoided being killed only by bribing German officers; they left her with broken legs and ribs in a forest while reporting to their superiors that the execution had been carried out. Even then, sick and hardly alive, she worked hard to save more Jews. As the war ended, Ms. Sendler led a modest life of an average citizen. In communist Poland your past could cost you years in prison or even your life and helping Jews was not particularly appealing act to brag about. In 1965, Ms. Sendler received the Righteous Among the Nations medal that Israel awards people who during World War II helped oppressed Jews. Three years later, the communist regime expelled from Poland the remaining several thousands of Jews who had survived the Nazi camps and, again, Ms. Sendler withdrew to her normal life. She would have died an anonymous person had it not been for a group of American high school students From Kansas who, in 1999, learned about Ms. Sendler’s courageous past and decided to stage a play telling her story. The news broke in Poland and the World War II nurse received the highest civilian decoration, the Order of the White Eagle, as well as other prizes. In 2003, Pope John Paul II, himself a survivor of the Nazi occupation, sent her a letter in which he thanked her for her efforts in saving thousands of innocent lives. The Polish and Israeli governments continually lobbied for the Nobel Peace Prize for Ms. Sendler, but unfortunately, the Swedish academy always chose someone else. There are 36 just people, as the Jewish tradition has it, who save the world against God’s anger. Irena Sendler was one of them.